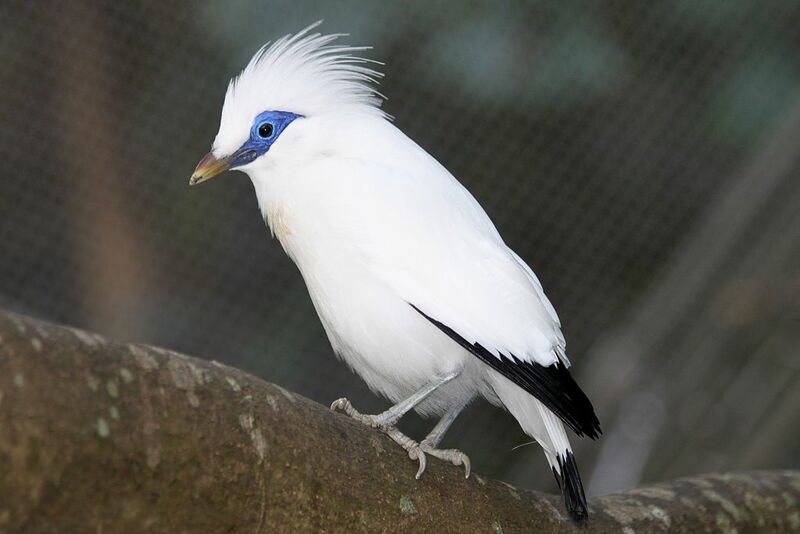 You may never have seen or heard of a Bali Mynah aka the Bali starling. This gorgeous bird is critically endangered, largely due to illegal poaching for captive bird trade. Unfortunately, their rarity has only increased the demand and value to poachers. 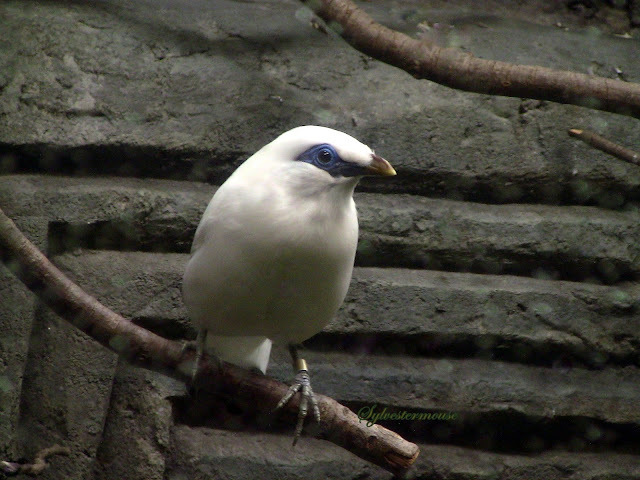 Counts in recent years indicate there may be fewer than 20 Bali Mynah birds still in the wild. Even though there are some Bali starlings in zoos, there are still less than 1100 total known in existence today. Attempts to release the birds back into the wild have only resulted in them disappearing. Most likely into the hands of illegal poachers. The Bali Mynah is a snow white bird. His only coloring will be found in the blue around his eyes and the black on the tips of his tail and wing feathers, which look like they have been dipped in black ink. I felt quite privileged to see the lovely Bali Mynah in person myself. We should never move so fast that we don't take the time to really stop, look and appreciate the lovely creatures that share the earth with us right now. Some won't be here for our great grandchildren to see. All that will be left are the photos and memories. The photo above on the right was used with permission. I wanted you to be able to see the black tipped wing tips and tail feathers. That is most likely a female in photo since the male no longer has a crown or crest. 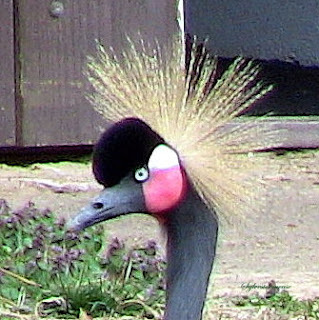 She preens her crest to attract her life-long mate during mating season. What a beautiful bird. I've never heard of the Bali Mynah bird before, perhaps because it is not native to the United States and is so rare nowadays. Your article has proved to be very educational, giving me a glimpse into the life of this lovely bird. Let's hope it never becomes extinct.